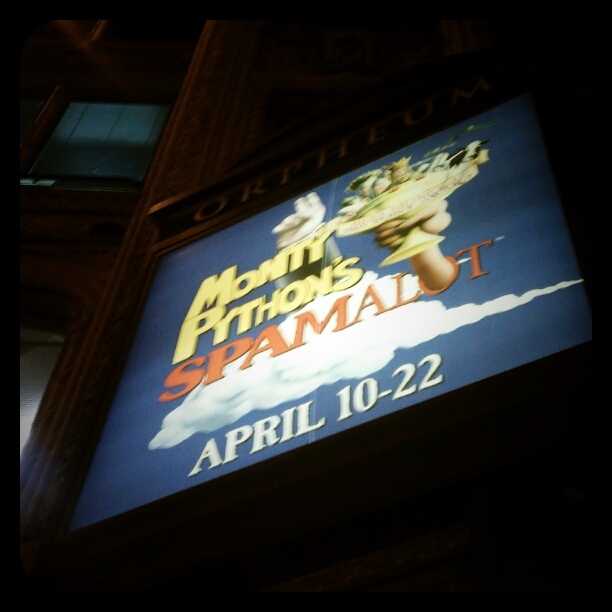 Jimmy's sister and I went to the Orpheum Theatre tonight to see Spamalot. Jimmy's a huge Monty Python fan but a huge theatre hater, so he stayed home. It was awesomely funny and I was surprised at how many skits I recognized from the movie. I didn't realize I paid any attention to the movie when Jimmy watched it. I enjoy the theatre but have never really been a great Monty P fan.